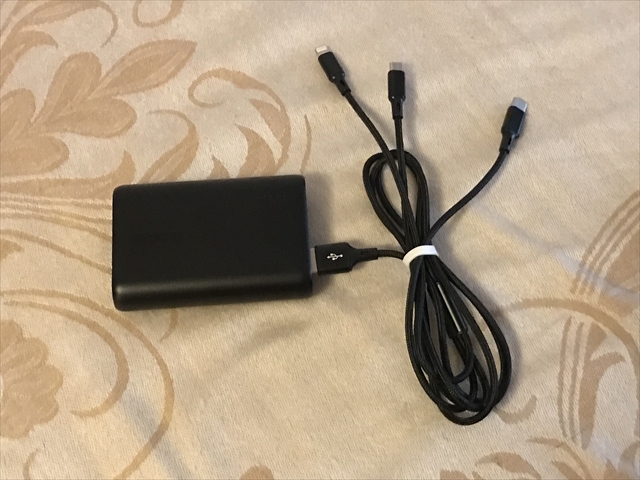 This is a new adaptor for charging your smart phone with iPhone, Android, and a USB-C type connector. ※If your smart phone is not suited to these connectors, you can also charge yours by your connector. But in this case, your phone will be charged at back yard (The other space of the session room) due to electricity capacity.